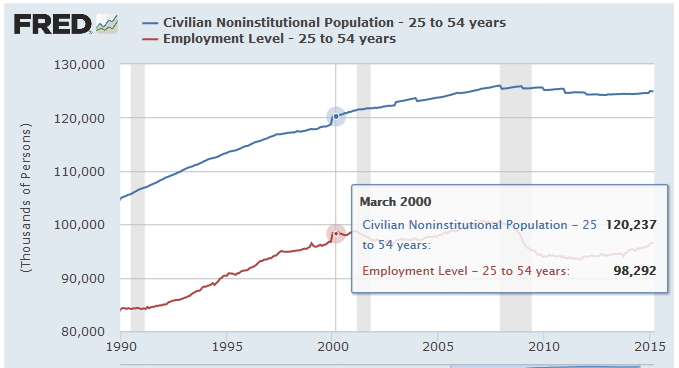 For example: The Fed can set interest rate policy but then it has no control over money supply. 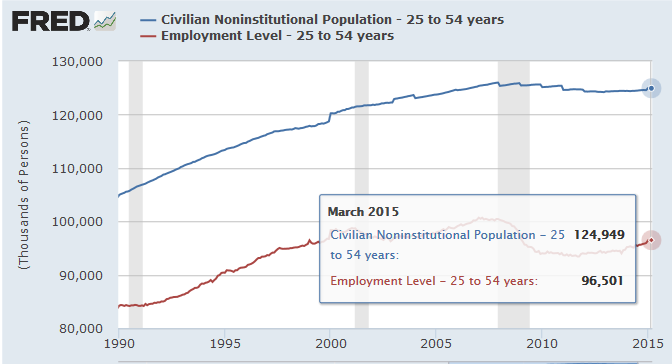 The Fed can target money supply, but then it would lose control over interest rates. 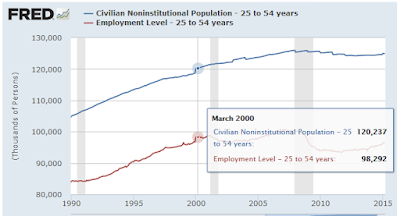 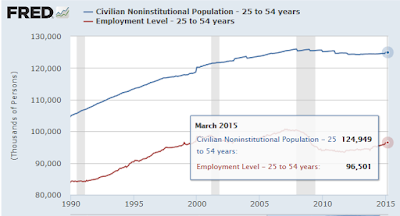 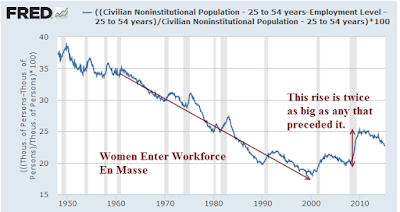 Let's zoom in on a time frame that catches peak entry of women in the work force. 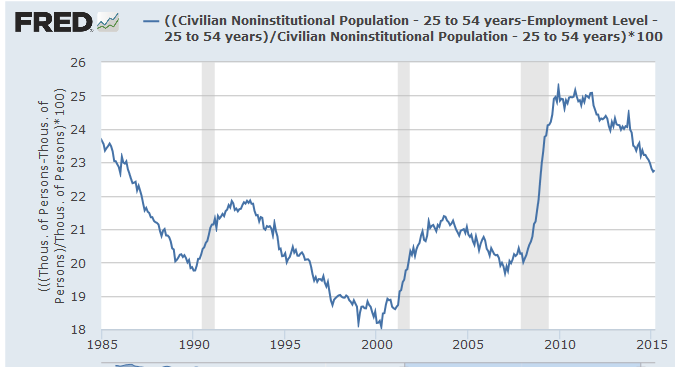 What we are left with is an economy that is roughly 6,503,000 jobs short of where it should be following six years of recovery (in age group 24-54 alone) .